Ginger is just the perfect spice for the holidays. It’s zing and warmth adds flavor to beverages and baked goods. You’ll find it in cookies, cakes, pies and cocktails. Of course, I thin the best form to enjoy ginger is in tea! 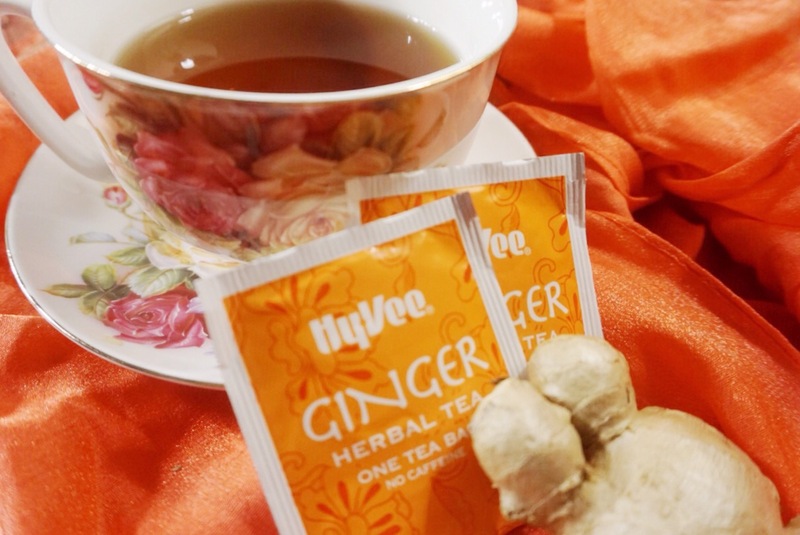 Ginger tea is not only flavorful, but it tames the tummy after too many holiday treats. It even helps to soothe your throat if you’re feeling a bit rundown after all the holiday shopping and festivities. 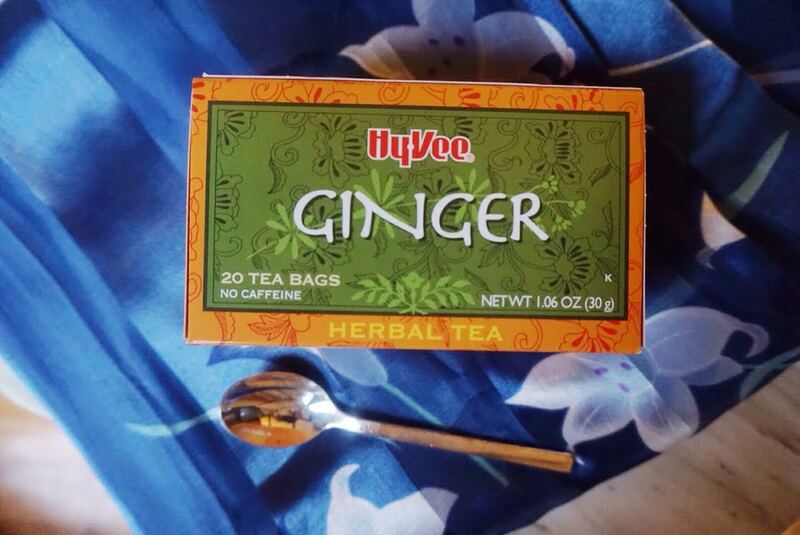 When Kat wants an immediate cup of ginger tea, she reaches for HyVee Ginger Herbal Tea. This tea is perfect for an afternoon or evening relaxing cup, since it is completely caffeine free. She always has a box on hand during the holidays. The zippy ginger flavor feels more festive with the additional peppermint, cinnamon, and fennel notes in the tea. There is even a sweet floral hint of chamomile that helps with relaxation. The flavors make her think of sitting in warm slippers on a snowy night. Kat often carries this tea in her purse while she’s doing her holiday shopping. Taking a break with this tea helps melt away the stress from the bustling crowds. Kat first had this tea when she visited an old college friend. They spent hours catching up, reliving precious college memories, and sipping this warming tea. Kat always thinks of her friend when she brews up this tea. She often shares this tea with friends when they are feeling a bit under the weather. Adding a drop of honey to the tea makes a soothing brew for achy bones and sore throats. A squeeze of lemon also helps ease sniffles. Making a warm cup of comforting tea to a friend who is not feeling her best is an act of holiday kindness. The tea feels like a warm, loving hug. Making a pot of fresh ginger tea is a lovely accompaniment to those adorable gingerbread cookies at your holiday gatherings. Pairing the tea with rich dark chocolate is also a flavorful snack to add to your holiday table. Ginger pairs with creamy desserts, and would be an interesting complement to a cheese plate. It also works well as a palate cleanser. Kat sometimes serves little cups of ginger tea after dinner, but before dessert. It gets the palate ready for those sweet bites. Be sure to add some ginger tea to your holidays this year! What do you think you’ll pair it with?